When you come in to see a psychotherapist, you will go through a process of consultation. The goal is to understand as much as possible about your overall symptoms and your lifestyle. What is bothering you? Why is it occurring? And, what can be one to improve it? Most of the time, individuals will learn more about the complications they have and mental health concerns that may be impacting their quality of life. Then, a customized treatment plan is created to address those underlying concerns. For some, a therapy called acceptance and commitment is used to help the individual to achieve the balance they need. In this form of therapy, an individual will talk to his or her therapist about the way they feel and then will learn more about correcting those thoughts. In this particular form of therapy, individuals learn to become aware of and accept the thoughts and feelings they have. They will then learn to commit to making changes. In other forms of therapy, individuals learn to recognize that there is a problem and then learn to cope with that situation as it occurs. However, in acceptance and commitment therapy the goal is to make changes so that they can overcome these challenges in the future. The ultimate goal of this type of therapy is to help an individual to cope with the challenges they face and then to learn to adjust to situations better. It is not just about recognizing a problem and coping with it, but working towards changing those thoughts, feelings, and actions. 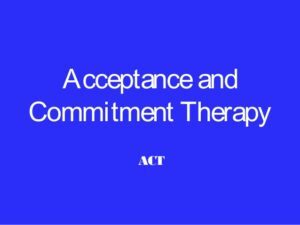 Not everyone can benefit from acceptance and commitment therapy. When you visit with your psychotherapist, he or she will help you to determine if this might be the best type of treatment option for your individual needs. Many factors can contribute to this including the type of mental health concerns you have, the severity of them, and your ability to succeed under this type of therapy. It may be used alongside other therapies as well. If you feel you are suffering from any type of mental health complication, take the first step. 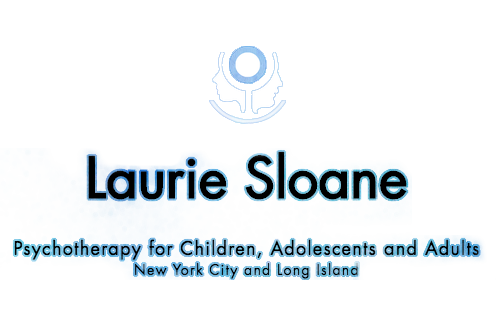 Reach out and schedule a consultation with one of the best psychotherapists in New York by calling our office to discuss your needs. You may be able to see significant improvement in your quality of life with proper treatment like this. ← How Long Does Psychotherapy Take to Work?